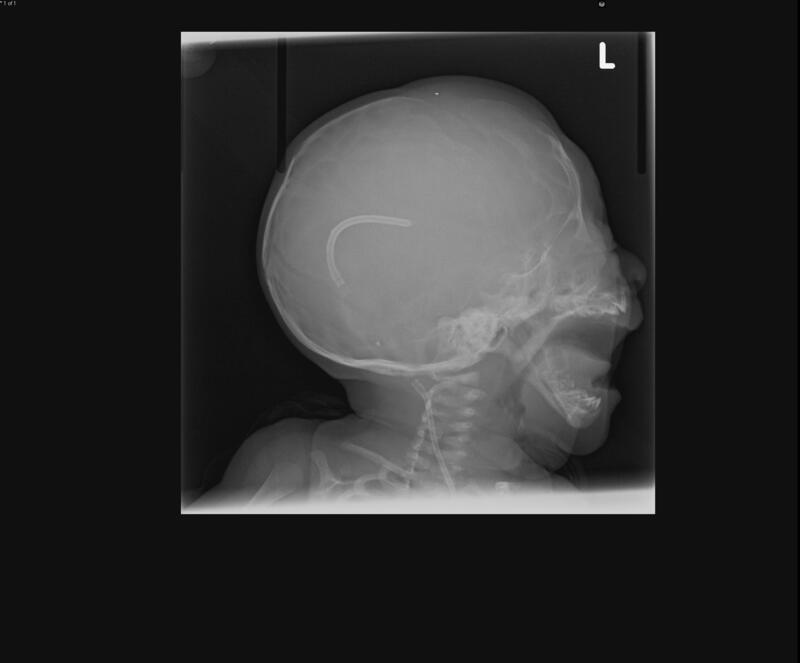 History: Infant with congenital abnormality. Lateral radiograph of the skull in an infant. What are the findings? What is your diagnosis? What is the term for this finding? What are its associations? Comment, like, pin, and share below!